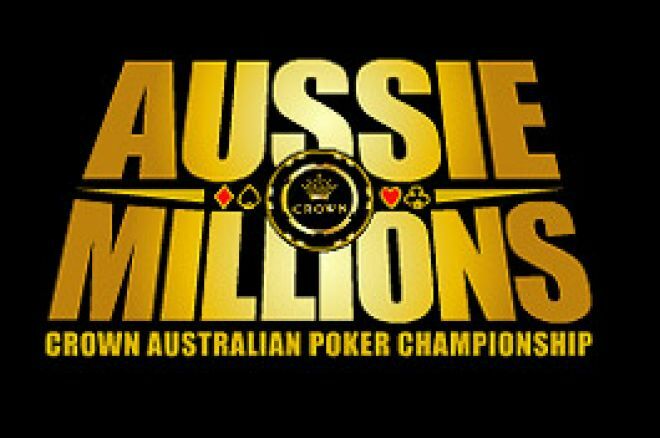 The Crown Australia Poker Championships 2006 is well under way at the Crown Casino, Melbourne, Australia, and it promises to be a big splash as always. This festival is a major date in the top professionals' calendar and the Main Event will be rich with the best the poker world can offer when it gets underway on January 14th, with the final stages playing out five days later. The question of interest to UK Poker News is whether any British or Irish interests can surf the poker waves down under as expertly as Tony "The Lizard" Bloom has done. Two years ago, Bloom proved his longevity and elevated his legendary status by scooping the Main Event trophy and over A$400,000, and a further three English-based players made the top 20. In 2005, there was a conspicuous absence of the bulldog spirit, at least in the Main Event, but other battles proved more successful, including no less than three final tables for The Lizard, resulting in 6th, 2nd and 1st placings. The outright victory occurred in the A$1,500 Limit Omaha Hi/Lo tournament which also saw the very consistent Richard Ashby take 7th spot, a useful achievement in addition to being the winner of the A$200 No Limit Hold'em contest. The ultra-aggressive Ashby is back in Australia for the 2006 series and has already made his mark, with a 3rd place in the A$500 Pot Limit/No Limit Hold'em and 9th in the A$1,000 No Limit Hold'em just this week. Britain's Robert Lumb, a consistent performer at lower stake tournaments, took the silverware in the A$500 tourney for a first big pay-day of A$60,000. In the A$1,000 contest, Dave Welsh, a regular final tabler and veteran of Channel 4's Late Night Poker, sneaked into the cash in 19th place, while a new name to the poker listings, Tom Brown, took a useful A$3,072 away after being knocked out in 12th. In the first tournament of the series, the A$500 No Limit Hold'em, Paul King secured 15th place. King is a man bang in form at the moment having made three top-8 finishes in St Kitts last month against stiff opposition such as Kathy Liebert and Julian Thew, but more impressively having finished a gallant 4th in the £3,000 EPT Main Event at the Grosvenor World Masters in London in September, from which he secured a £41,000 prize. So, at the halfway stage, the Poms are making a decent stand "down under" and the excitement is now building for the Main Event. Will the big names make yet another appearance in the late stages or can one of the many up and coming pros from these shores prove their mettle? We will round up the best of the Poms when the dust has settled.